TD Mobile POS for iOS debuted back in December and allows users to accept mobile payments when a TD Mobile PINpad is paired with your iPhone via Bluetooth, while also utilizing your phone’s cellular or Wi-Fi connection. Step 1: Activate your Account at the URL provided in your Welcome Email. Step 3: Activate Bluetooth to sync your smartphone with your TD Mobile PINpad. 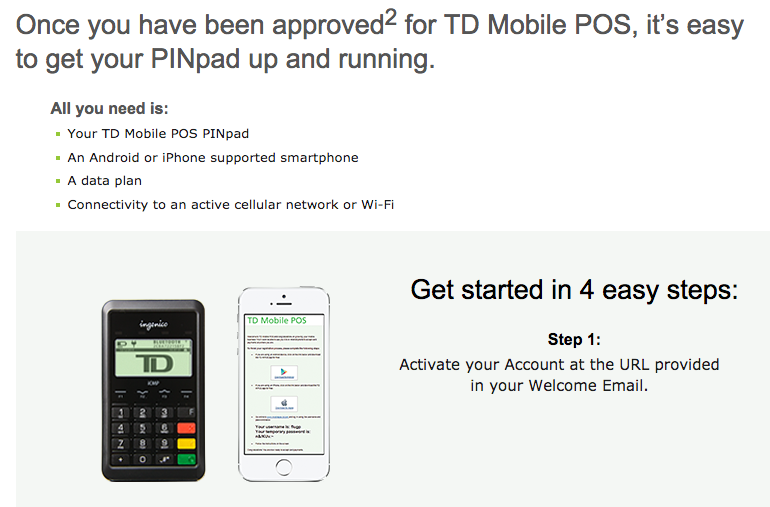 Step 4: Set up your TD Mobile PINpad, then start processing payments wherever your business takes you! The combination will allow you to accept payments such as Visa, MasterCard, American Express, Discover, InteracTM, EMV Chip and PIN and contactless payments securely and easily. 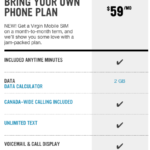 TD doesn’t say how much the system will cost compared to other solutions from Square, Intuit, Payfirma, Moneris and PAYD, as you are required to call in for an estimate.